A design for a helicopter by aeronautical designer Harold L. Lamont. This design was assigned to the Jacobs Aircraft Engine Company. Lamont also did work for Sikorsky Aircraft. This patent was issued in 1954. Minneapolis native Leroy S. Buffington was awarded a patent in 1888 for iron-building construction. 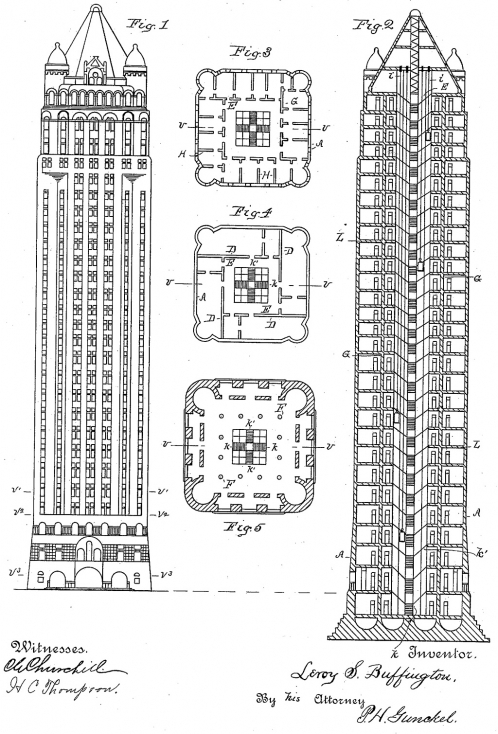 Because of this patent, Buffington claimed to be the father of the skyscraper. This design for a diner was awarded to Vincent F. Giannotti, Ralph Manno and Giro R. Manno, all of New Jersey, in 1968. 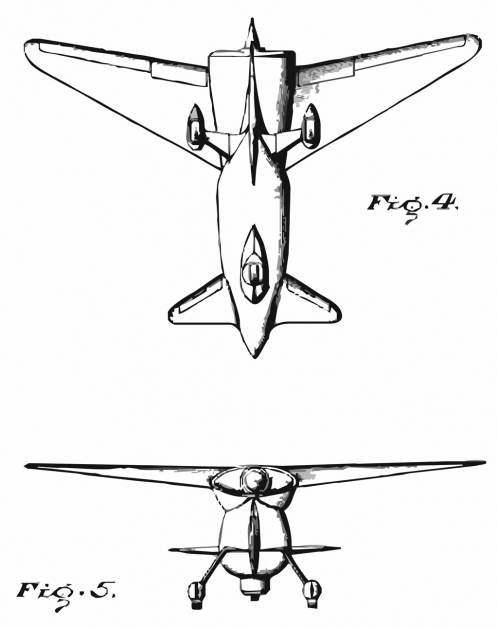 A patent was awarded for this unique airplane design to John T. Corrigan and Peter P. Sherry in 1953. 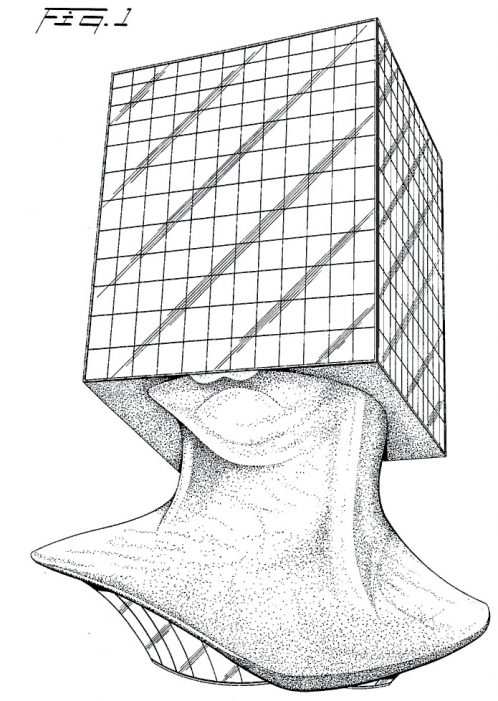 The patent for this ornamental spiral building design was awarded to Radu Vero in 1989. This ornamental design for a building was awarded in 1988 to Sacha Sosno, Henri Vidal and Yves Bayard. 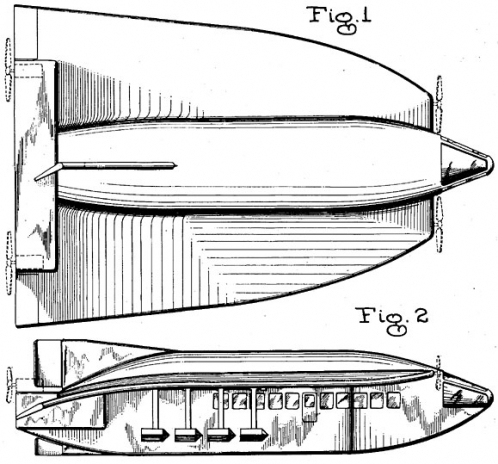 An airplane design by aeronautical draftsman William R. Custer. Custer is know for developing 'channel-wing' airplanes, such as this one. He also founded the Custer Channel Wing Aircraft Company. 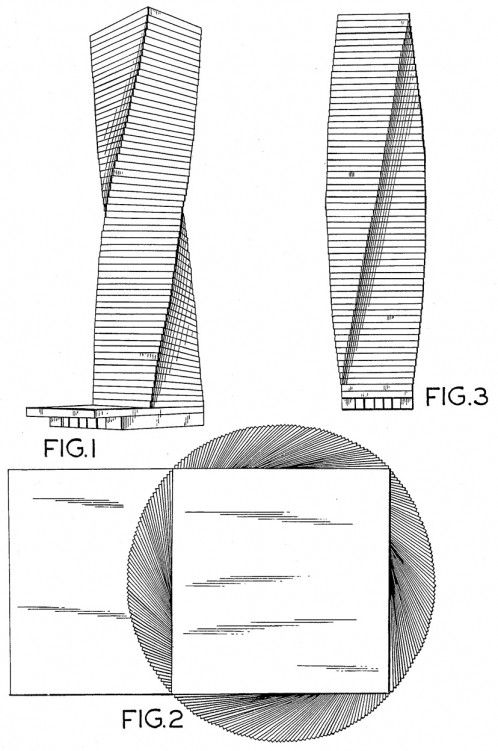 This patent was awarded in 1955. Another Custer design can be seen here. An ornamental design for an airplane by Jack R. Atkinson. Patent was awarded in 1950. Here is another view. 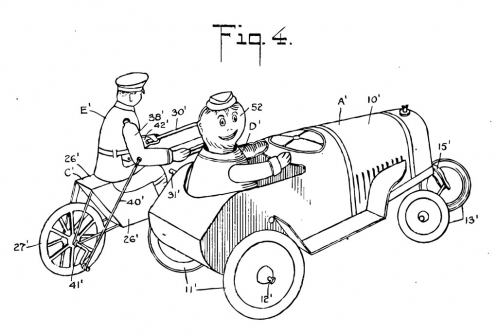 "The principal object of my present invention comprehends the provision of a figure wheeled toy constructed and designed so as to be operable to simulate the pursuit of an automobile vehicle, driven at a prohibitive speed, by a motorcycle officer." 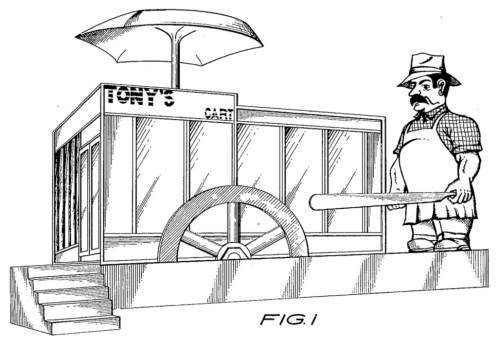 This patent for a figured wheeled toy was awarded to Louis Marx, of the Louis Marx Company, in 1927.